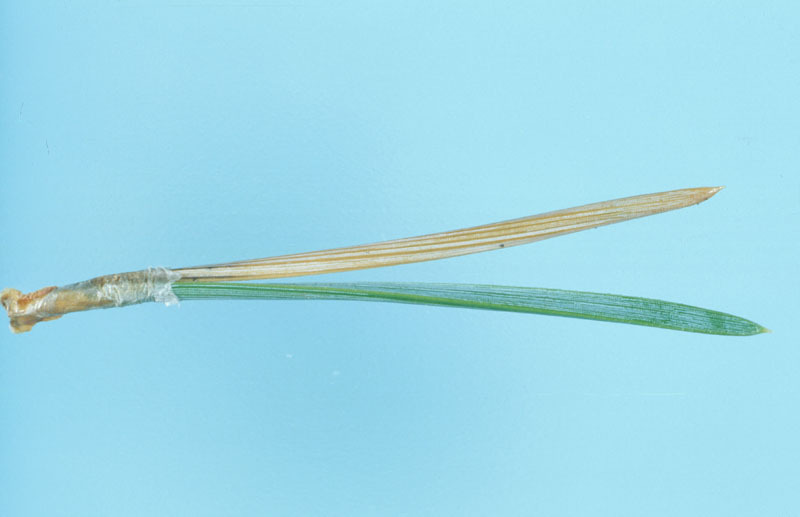 The European pineneedle midge feeds on foliar tissue within the needle sheath, causing one of the two needles in the fascicle to wilt and turn brown. The browned needle eventually separates from the other, which remains green. 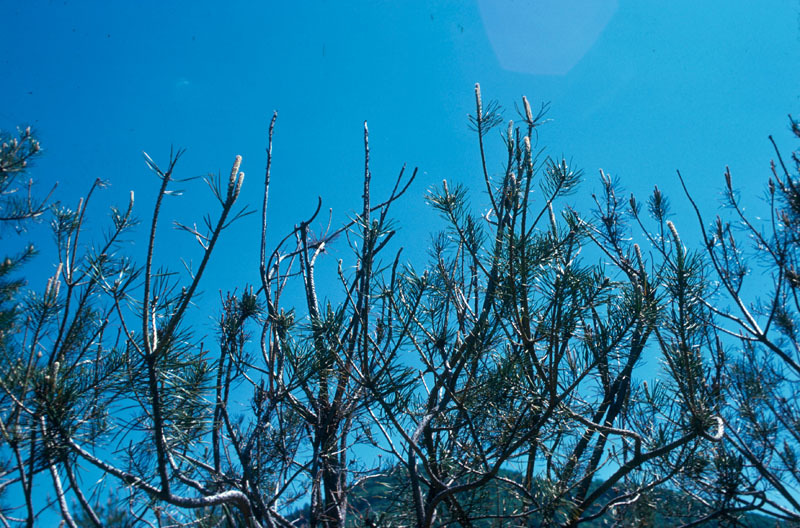 This phenomenon is more easily observed in August, when the affected foliage begins to drop and injured needles remain in the crown of the tree. Even during a severe infestation, only a small proportion of twigs die and the tree is seldom seriously affected. 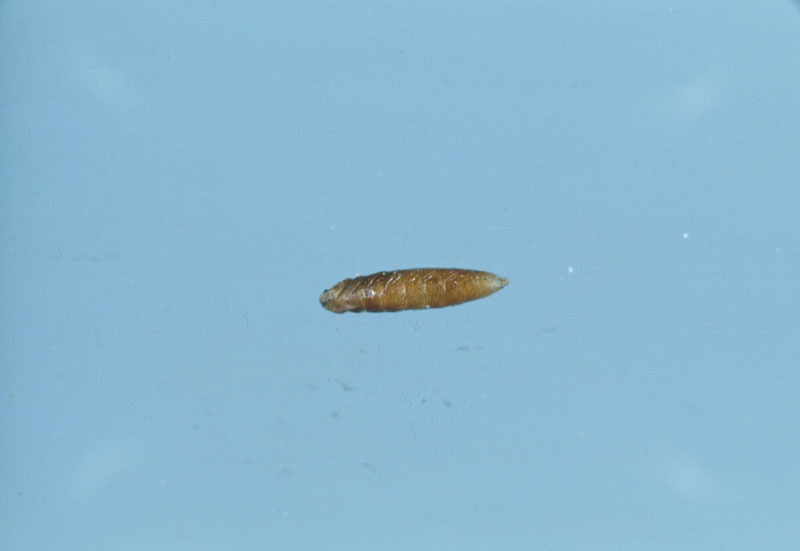 When the needle fascicle detaches from the twig, it drops to the ground, bearing the larvae, which overwinter in cocoons in the litter at the base of infested trees. The adult emerges in June and July. The female deposits her eggs on needle sheaths in the upper part of the trees. 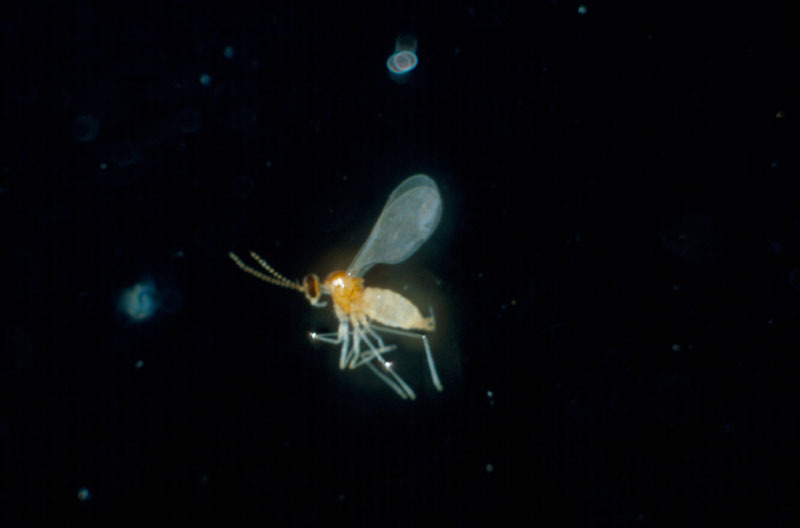 The European pineneedle midge is of European origin and was likely introduced into America roughly 40 years ago. 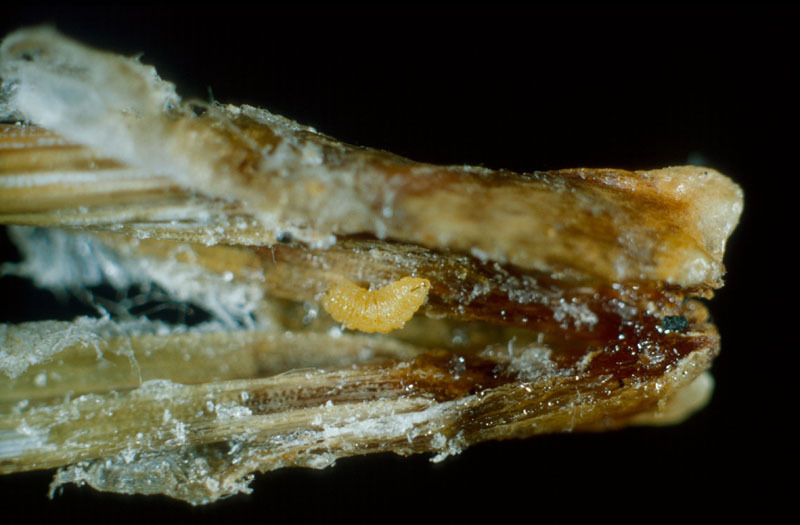 In eastern Canada, short infestations are regularly observed, affecting Scots pine and red pine. 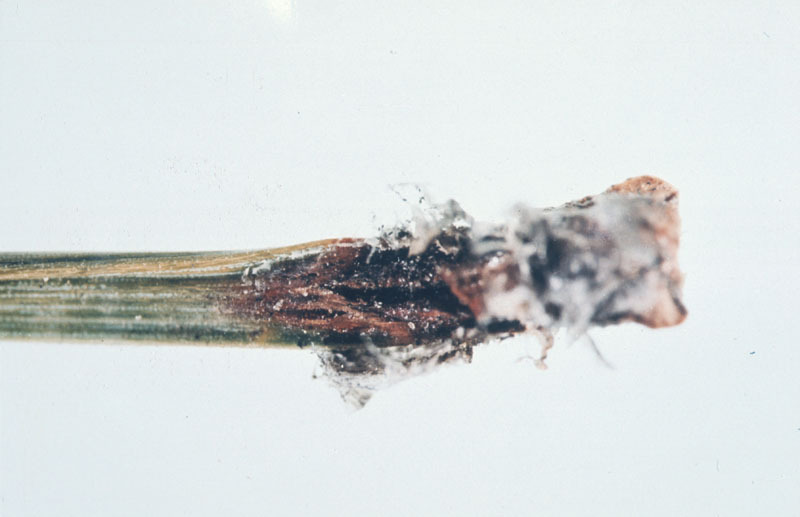 Cutting out affected current-year shoots can improve the appearance of slightly or even moderately infested trees.